The mini of Edward I “Longshanks” gave me some creeps for some reason, so I decided to start with him first. I the end this turned out unfounded and I quiet enjoyed painting him. Being from the dark ages where paintings and sculptures are essentially no good for details, I decided to take some artistic license with him, but also chose to be partly inspired by the movie Braveheart since I felt that the sculptor (eBob) did the same. 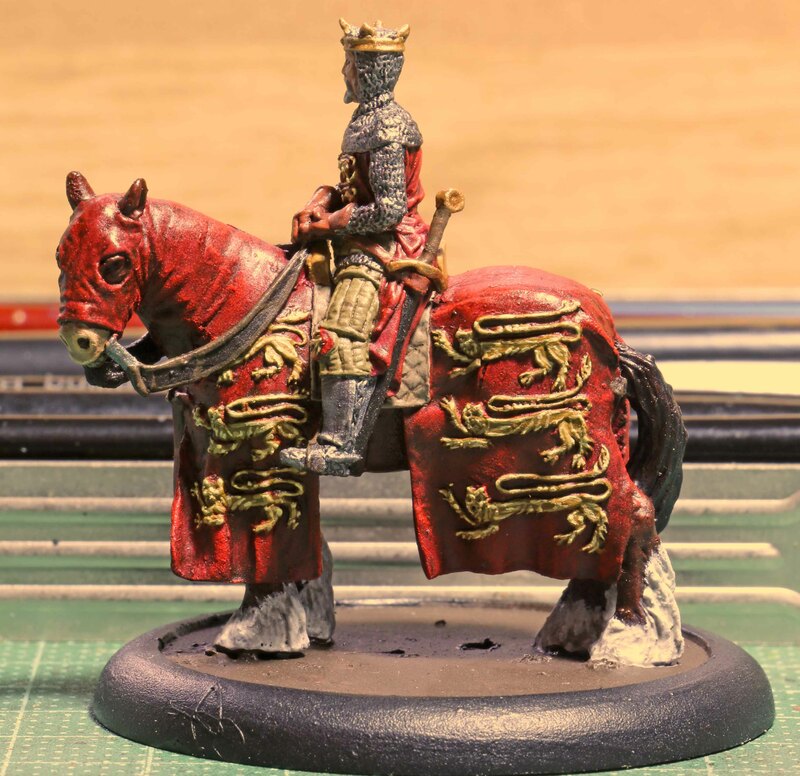 I went for a dark red with the barding on the horse and the tonic of the king as opposed to the rather orange cloth used in the movie to depict some expensive, high pigment dyes. 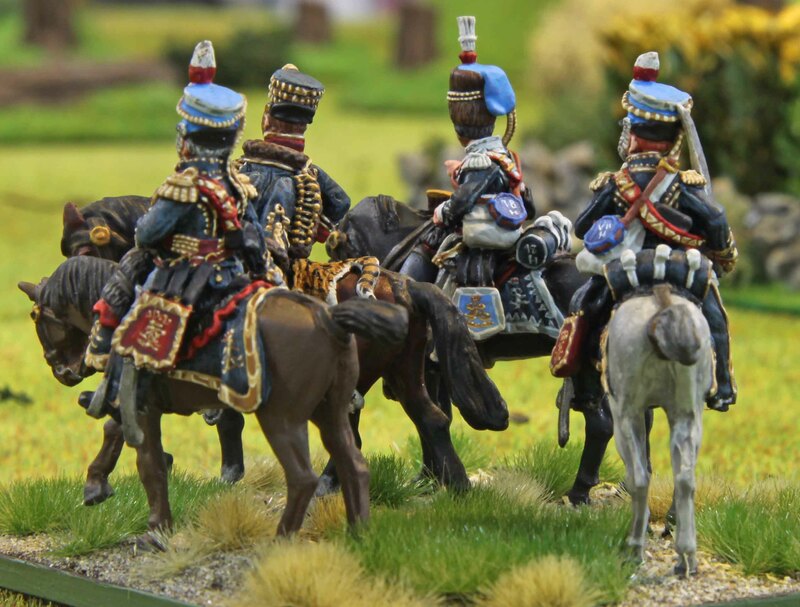 This caused some problems, since I had decided to paint the Frisian he is riding as a chestnut (like the horse in the movie) which provided very little contrast. So I gave the horse white socks and skin coloured mouth area which did the trick. Matt left me the option to either do the base myself of leave it plain so he can match it to his armies. I opted for the later. I always hate it when a base does not fit the army theme and I know my basing is a bit off the beaten track, so I just cleaned up the base here. I used a lipped style base as per the eBob Rebellion rules. Up next was Napoleon. 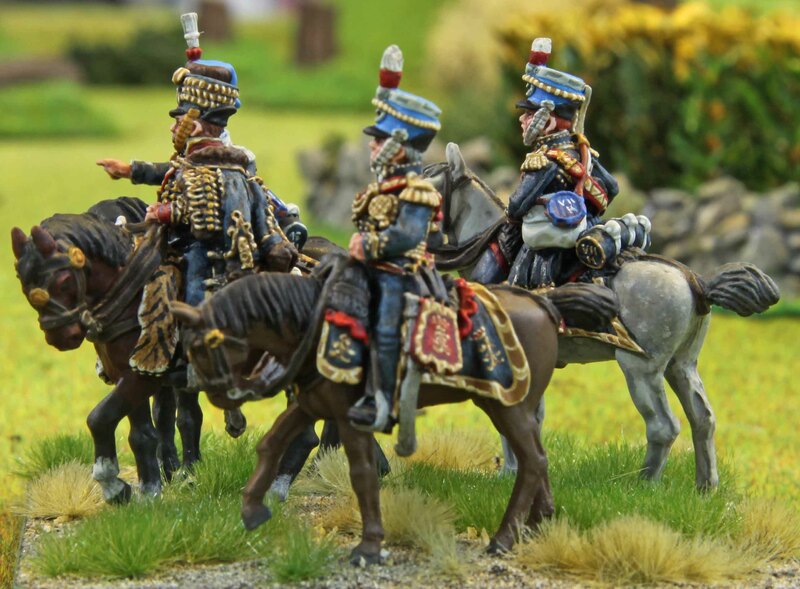 I was helped a lot by the fact that I already painted a Napoleon about two years back and could go back to my research here. 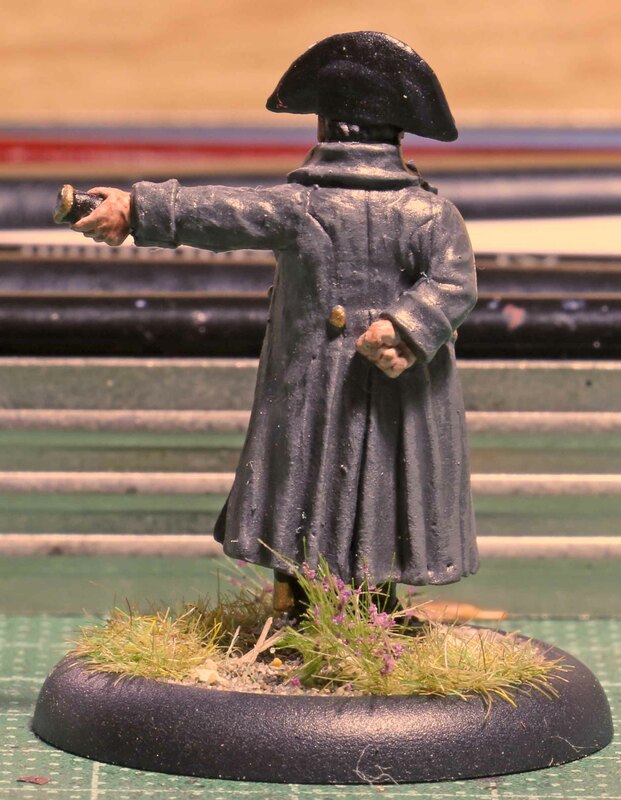 All in all it was a straight and fun mini to paint and I was happy that it did not have a mould line running over his face like my Napoleon. There are different images of Napoleon out there. some with a green vest others with a white one. Just as with my mini I decided to go for green. With his white trousers and shirt as well as the grey coat he would just have been too boring without. 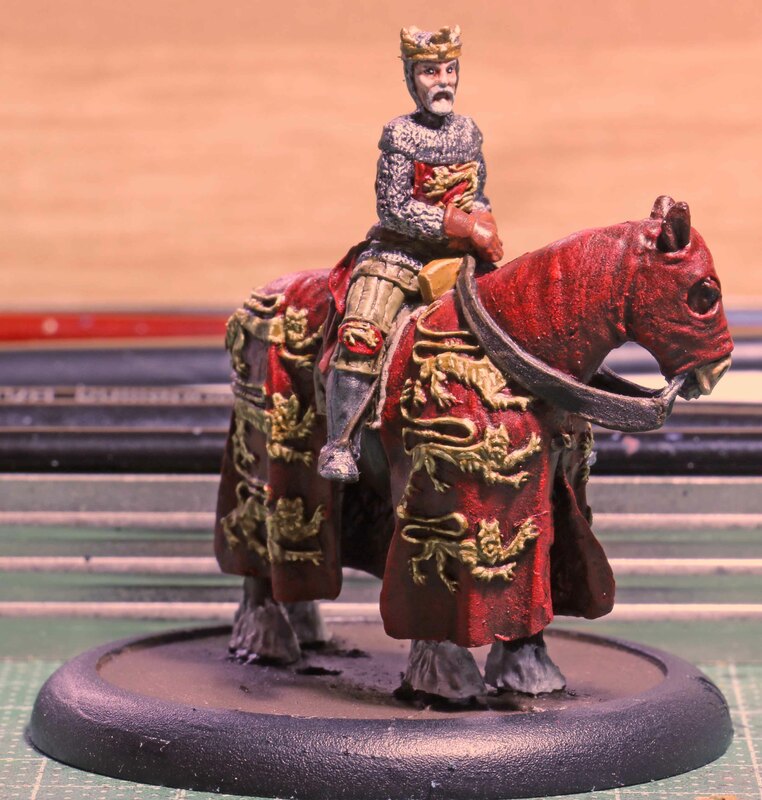 Fran wanted no particular base since this mini will join his collection of minis painted by other bloggers, so I went for the rather more showcase´y lipped style base here and added some static grass and flower tuffs (unfortunately small ones on account of the base size). Last is Uxbridge. 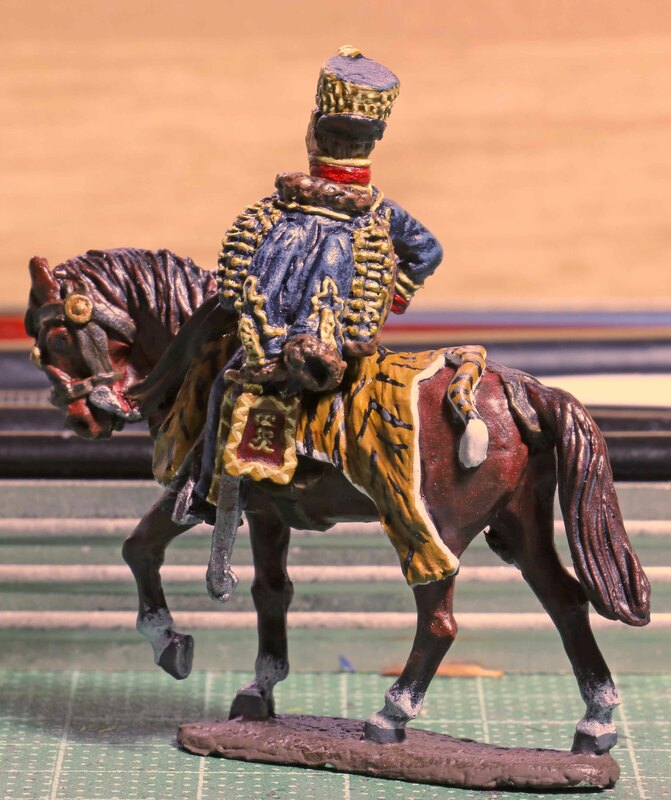 Just like Napoleon he benefitted from he fact, that I had painted this mini about two years ago and did not have to look up things like horse colors or uniform specifics. This mini held me up somewhat. A couple of years back I had put him on a large base (not sure why) and during painting I found that there were a number of places that I could not reach. 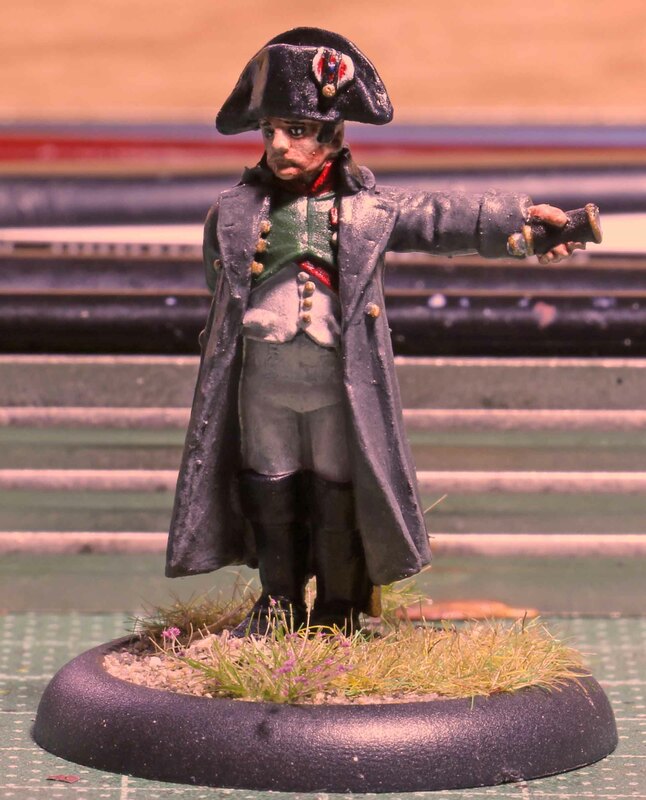 So I had to remove him from the base and mount him on a film container as I do with all my Napoleonic minis for painting. But unfortunately this meant another days wait while I waited for the glue to dry. All in all I can only say that I really enjoyed painting this mini (for the second time). I think it is one of the finest in the whole Perry Napoleonic range in all its dash and splendor. Monty will most likely use this mini as the nucleus for a Napoleonic force. Since the people he will be playing with are not entirely sure on the rules they will use and how to base the commanders, I left him unbased. 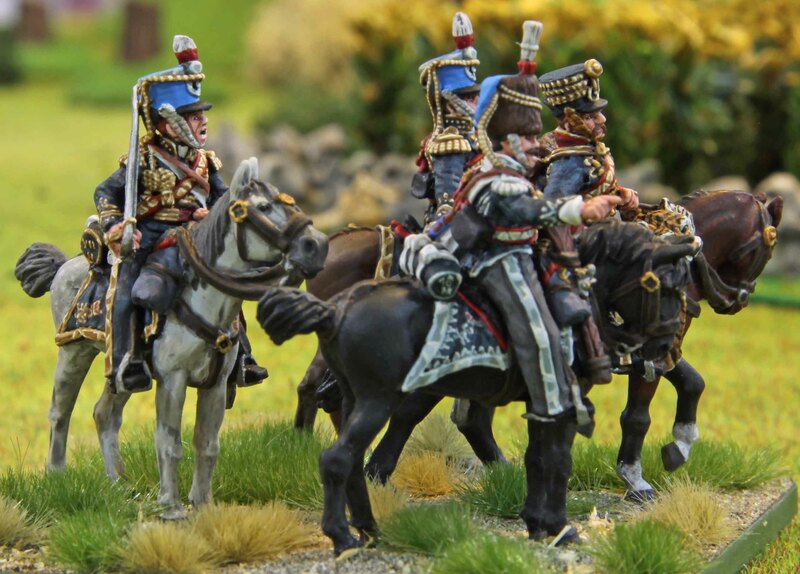 This will give Monty the option to base him accordingly, plus I always feel that Napoleonic commanders of this rank should have another few minis on their base and this will keep the option open for Monty as well. So now I will pack these up and tomorrow they will go to their new respective homes in the UK and USA. Hope you three will like them and i will see them on your blogs when put to game (or showcase) use. So it is time for another giveaway on this blog. So what are we celebrating? Well, a number things actually. For one this blog turned three in April. “Uh… what… April, you say! Why only now?” Because I wanted to wait for a number of other things to happen. One is that this blog reached 125 followers (actually this figure was actually breached in April, too). 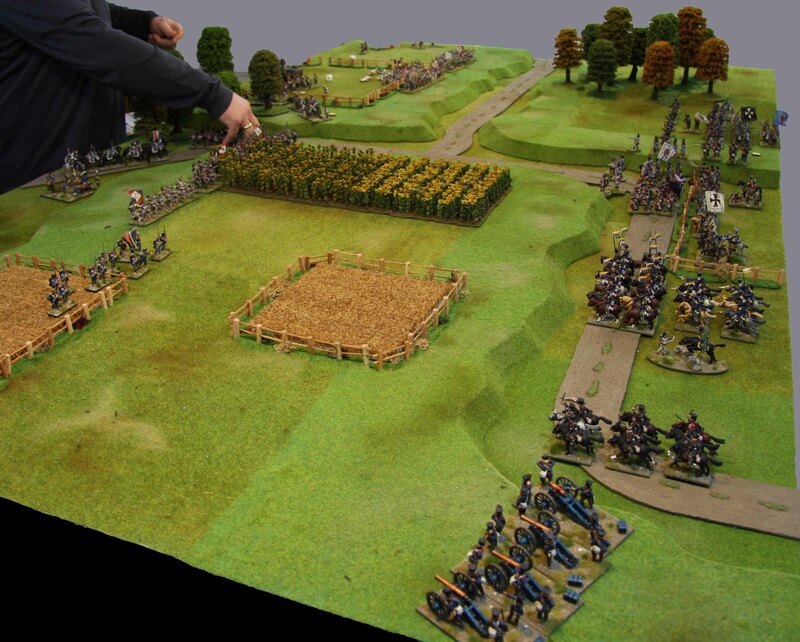 Some may remember, that we were higher already, but this is before I severed the connection via Facebook, which contained a number of people, who are not interested in Wargaming and therefore just muddied things up. So being back to that level was a huge milestone for me! Third we breached 250.000 hits, Oddly enough, it seems that Fran aka. the Angry Lurker was the visitor that pushed us over a milestone once more (this has happened twice in the past). Fourth, we breached 2000 comments earlier this month. Fifth… this is actually the 250th post! Oh and we have our first follower via Twitter… Fran again ;-)! All in all I feel this warrants another giveaway! Should you feel that you are not interested in any of these minis… well you can always have something else painted by me. 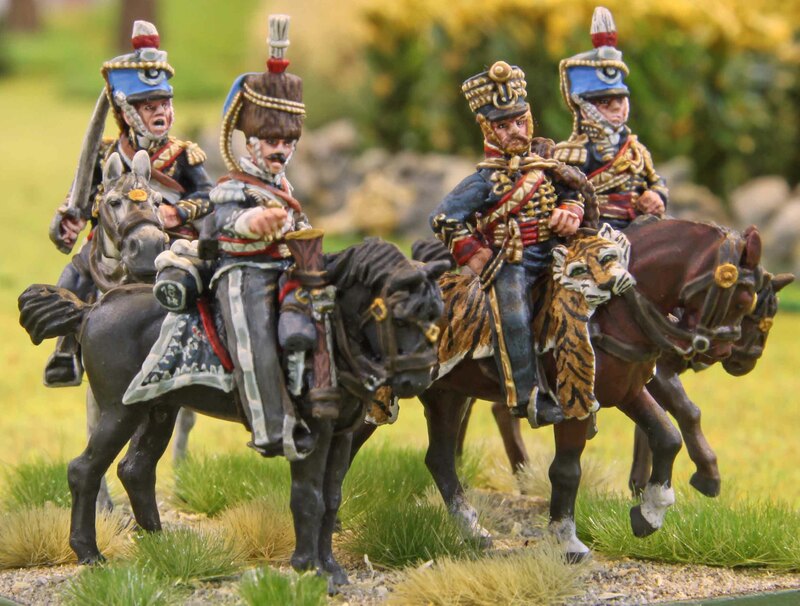 Essentially send me a substitute (one 28mm mini or four 20mm or six 15mm minis or even a single 20mm or 15mm vehicle are fine, but talk to me… depending on the topic this can be expanded), tell me how you would like it painted and it will be done! Now what do you have to do to get into the draw? 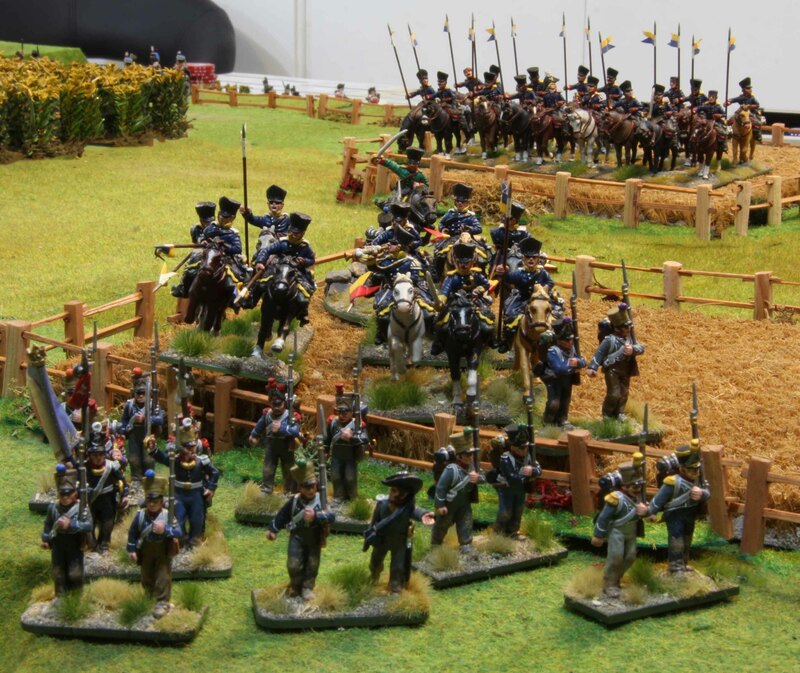 Comment on this post and if you prefer one of the above miniatures, mention it. If it is still available at the time your name gets drawn, it is yours. Be a subscriber to this blog. There are essentially four ways to do this. (i) If you have a WordPress account you can follow this blogs, via WordPress. (ii) You can subscribe via eMail (third option from the top on the right). (iii) Or you can follow via Twitter (second option from the top on the right). (iv) The fourth option is to have this blog on your blogroll on your own blog (I know there are people who follow blogs that way). While you can follow this blog via RSS feed, there is unfortunately no way for me to know, so that is excluded. You need to be a subscriber at the time of the draw obviously, but I would be happy if you remained one after it, too! You do not need to post about this give-away on your blog. But if you do with a link back to this post, you get a second ticket in the draw (please mention it in the comments here, as that makes it easier to check). And this is it. The draw will be held on the 13th of this July 0800h CET, so make sure you toss your hat in the ring by that time! Good luck! Henry William Paget was born in London, as Henry Bayly (his father assumed the name Paget in 1770), he was the eldest son of Henry Paget, 1st Earl of Uxbridge, by his wife Jane, daughter of the Very Reverend Arthur Champagné, Dean of Clonmacnoise, Ireland. He was the oldest brother to Captain William Paget, Sir Arthur Paget, General Sir Edward Paget, Vice-Admiral Sir Charles Paget and Berkeley. At first he entered politics and became a member of parliament at the 1790 general election as member for Caernarfon in Wales. He held this seat until the 1796 general election when his brother Edward was elected unopposed in his place. He then represented Milborne Port from 1796 until he resigned his seat in 1804 by appointment as Steward of the Chiltern Hundreds, and again from the 1806 election to January 1810, when he took the Chiltern Hundreds again. At the outbreak of the French Revolutionary Wars, Paget raised the regiment of Staffordshire volunteers and was given the temporary rank of lieutenant-colonel in 1793. 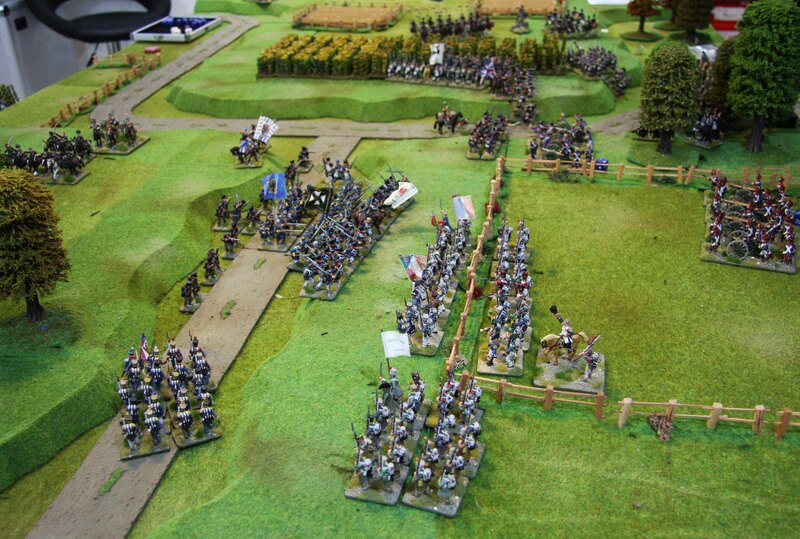 As the 80th Foot, the corps took part in the Flanders campaign of 1794 under Paget’s command. 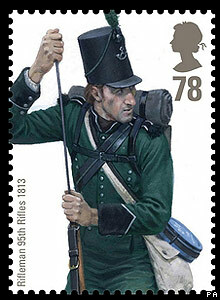 In 1795 he was made a lieutenant-colonel of the 16th Light Dragoons. 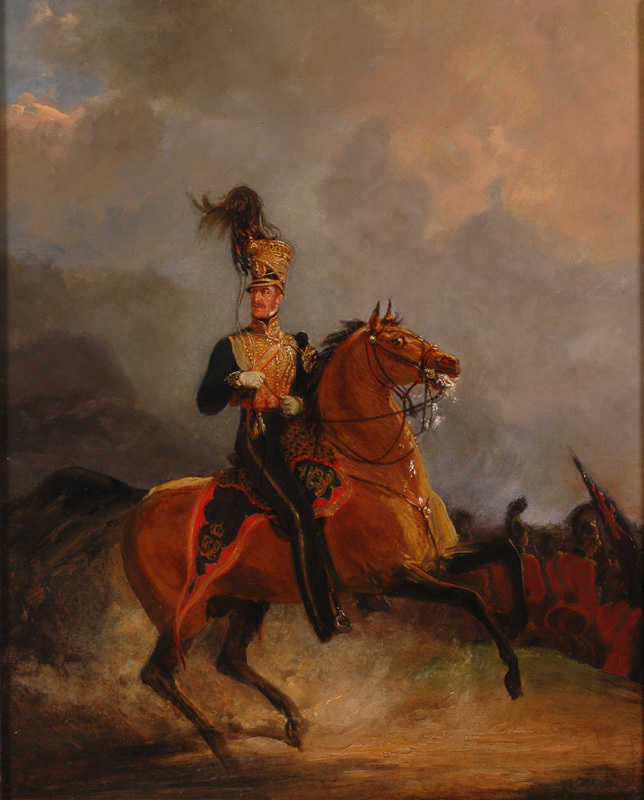 In 1796 he was made a colonel and by 1801 he had become colonel of the 7th Light Dragoons. In 1802 he was promoted major-general, and six years later lieutenant-general. 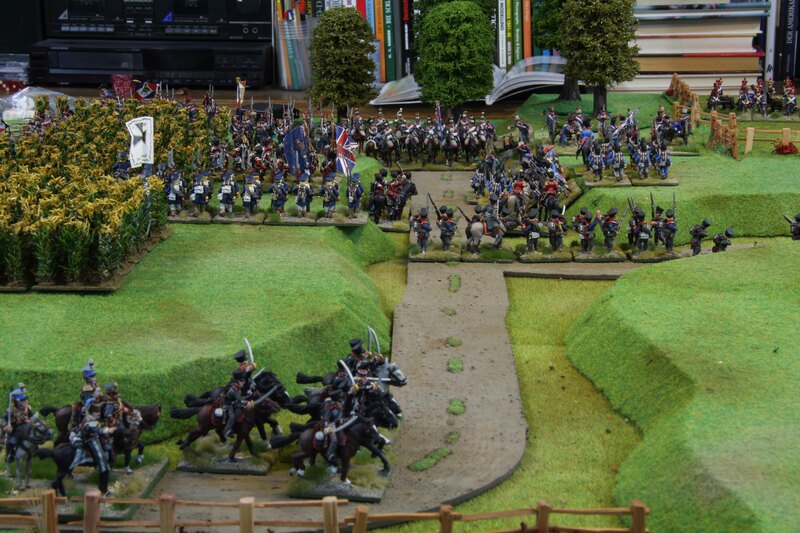 He commanded the cavalry for Sir John Moore’s army during the 1809 Corunna campaign. His only war service from 1809 to 1815 was in the disastrous Walcheren expedition (1809), in which he commanded a division. 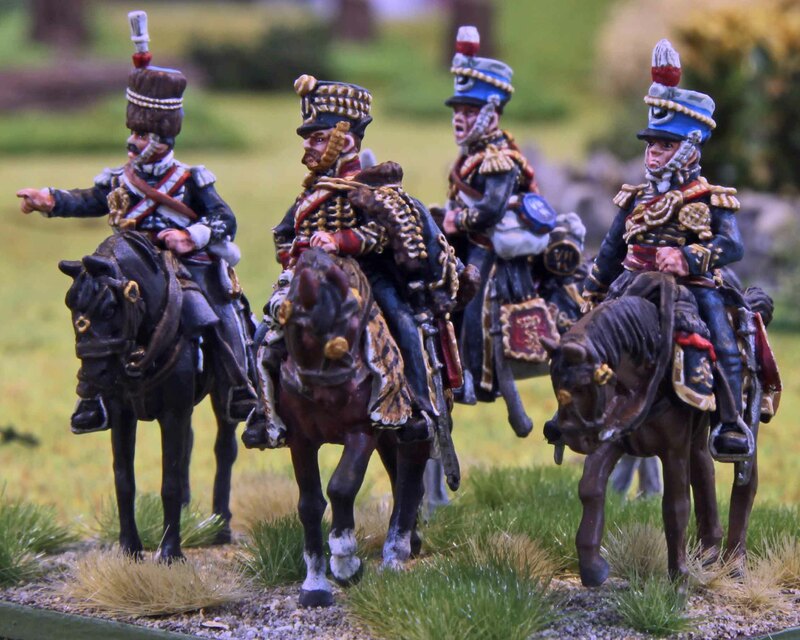 In 1815, he was appointed cavalry commander in Belgium. 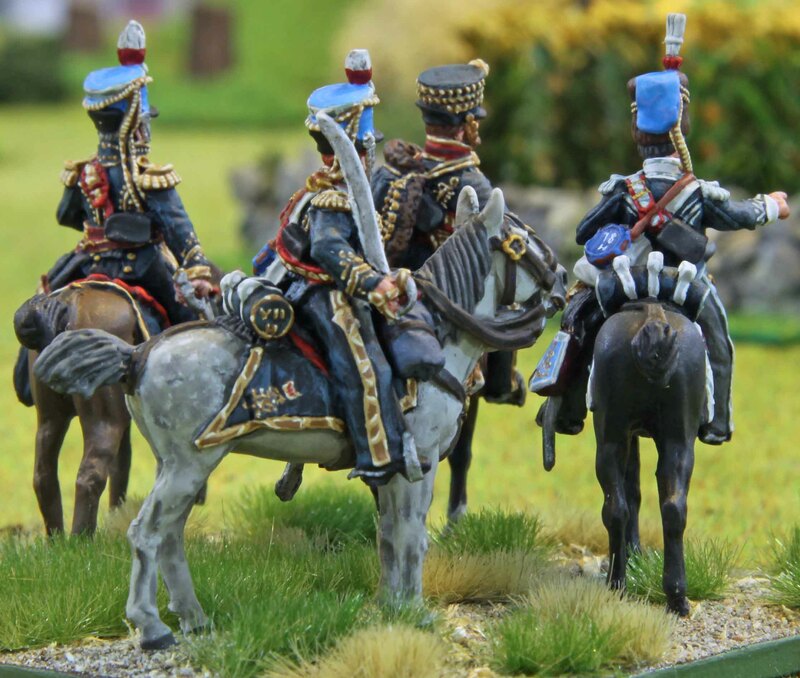 On the eve of Waterloo, Paget had his command extended by Wellington so as to include the whole of the allied cavalry and horse artillery. 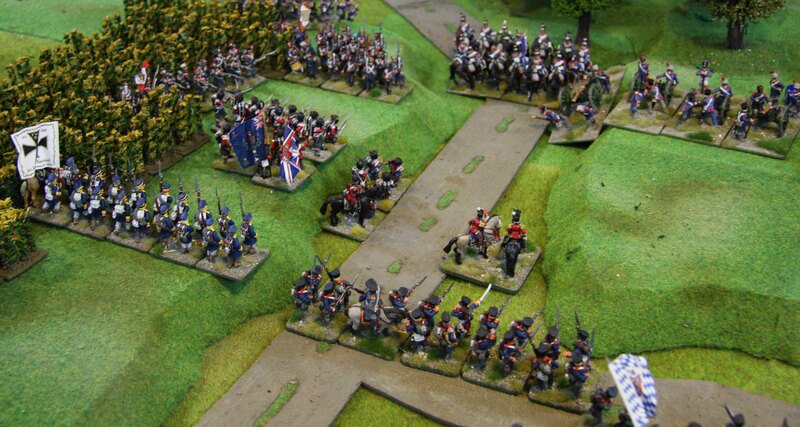 He handily covered the retirement of the Anglo-Allies from Quatre Bras to Waterloo on 17 June, and on 18 June led the spectacular cavalry charge of the British centre, which checked and in part routed D’Erlon’s corps d’armée. One of the last cannon shots fired that day hit Paget in the right leg, necessitating its amputation. In 1819 Paget, now Marquess of Anglesey, became full general and at the coronation of George IV, he acted as Lord High Steward of England. In April 1827, he became a member of the Canning administration, taking the post of Master-General of the Ordnance and becoming a member of the Privy Council. Under the Wellington administration, he accepted the appointment of Lord Lieutenant of Ireland (March 1828). In December 1828, he addressed a letter to the Roman Catholic primate of Ireland stating his belief in the need for Catholic emancipation, which led to his recall by the government. On the formation of Earl Grey’s administration in November 1830, he again became lord-lieutenant of Ireland. In July 1833, the ministry resigned over the Irish question, he spent thirteen years out of office, then joined Lord John Russell’s administration in July 1846 as master-general of the ordnance, finally retiring in March 1852 with the rank of field-marshal and colonel of the Royal Horse Guards. He also held the honorary posts of Lord Lieutenant of Anglesey between 1812 and 1854 and Lord Lieutenant of Staffordshire between 1849 and 1854. Lord Anglesey died April 29, 1854, and was buried at Lichfield Cathedral, where a monument is erected to his honour. He was quiet a fertile character. He fathered eight children with his first wife, Lady Caroline Elizabeth Villiers, from whom he was divorced in 1810. And another nine with Lady Charlotte Cadogan, former wife of Lord Henry Wellesley, Wellington’s brother. Ok the last few days I did not get as much work done on these as I wanted. While I painted a lot on Friday, it was not minis, but I helped my better halfs sister paint her flat. Saturday and Sunday were spend painting minis. And today? Well today I helped a friend of mine cart 21 metric tons of soil into his new garden. I do not even want to know what my shoulders will feel like tomorrow! But on Saturday I did the NMM silver on Captain Seymour. And I shall use him to go through the paces with you. Now the first step with NMM silver is simple as it was with gold… you need a base colour. Here I chose Vallejo Panzer Aces “Feldgrau” (338). Just block the silver areas in. The next colour is the first highlight. Here I went for Vallejo “Pale Greyblue” (907). This colour is used to pick out the highlights. So I paint the edges and raised points (folds or tassels) with it. Same goes if the fabric has a pattern stitched into it. In this case the belt for the cartridge box has interlocking triangles stitched on. Pick such patterns out with this colour as well. If you need to do some freehand patterns (like the cyphers on the saddle cloth) pick your spots where you feel a highlight should be, usually at spots where lines cross or make turns. The final colours is used to give extreme highlights. In this case I used Vallejo “Silver Grey” (883). As with the gold you should go easy with this one. I found it best to paint besides the highlight from the second step or just put a dot at the end of such a highlight for best effect. For small tassels you can make a line of small dots to accentuate the fabric. Unfortunately it does not really come out on the photos, so you will have to look pretty close. On sunday I saw to it, that the minis progressed in general. Did the highlights on the light blue, and red accents on the cyphers. I also did the black items (sabretache and sabre belts, shoes, visors…) and the highlights for the black. 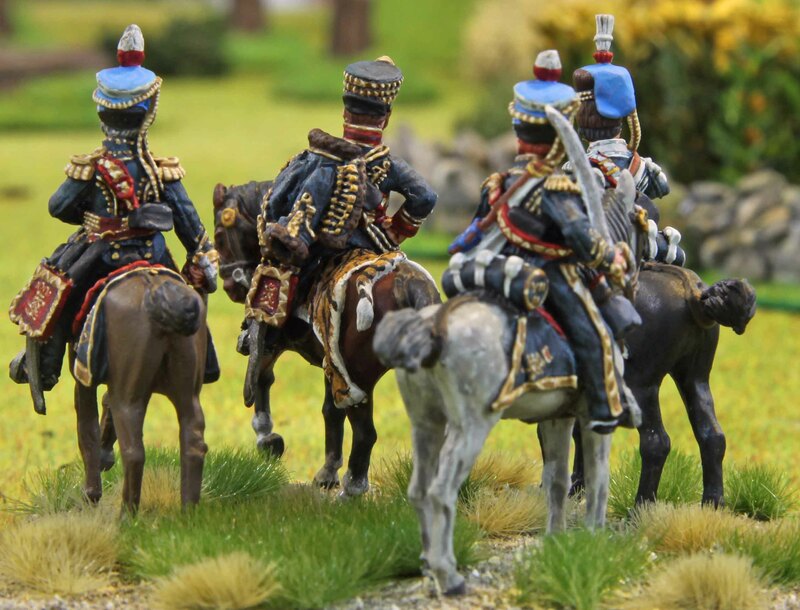 For highlights on black I use a very dark blue, that is almost black (did the same for the highlights on the horse by the way). In real life black never seems to have grey highlights (unless it is faded fabrics), so this gives the best results. Also started on the skin and did the eyes. Lets see how far I get tomorrow. 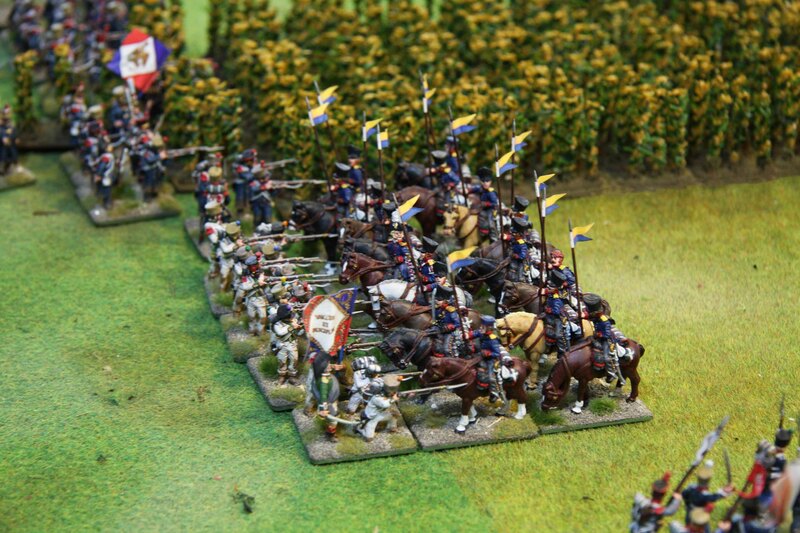 Tomorrow I shall post some photos of the Offensive Miniatures French artillery that I painted the last month. Ok, I got a little less done yesterday than expected. There simply was too much detail that needed to be done on all that NMM gold. 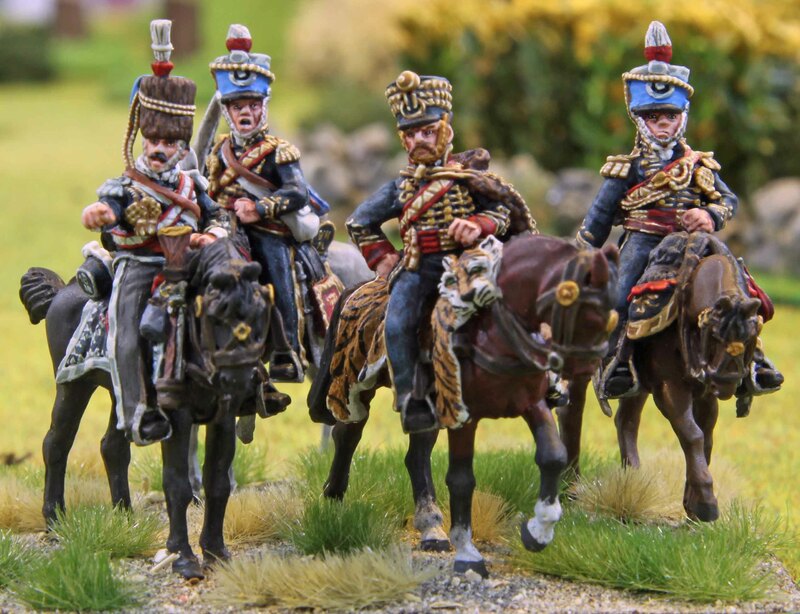 Anyway, I finished the NMM gold on all 4 minis, did the brown fur on Uxbridge´s pelisse and Captain Seymour´s busby and shaded those (only requiring highlights now) and did the light blue base for the Hussars shakos and the busby sack. So todays photos only show how the NMM gold turned out on all the three minis where I used the technique. If everything goes to plan I will do the NMM silver on Seymour today and some other general details. While I made some progress on the non metallic metal (NMM) gold for this set, I did not finish it, much like I had expected yesterday. 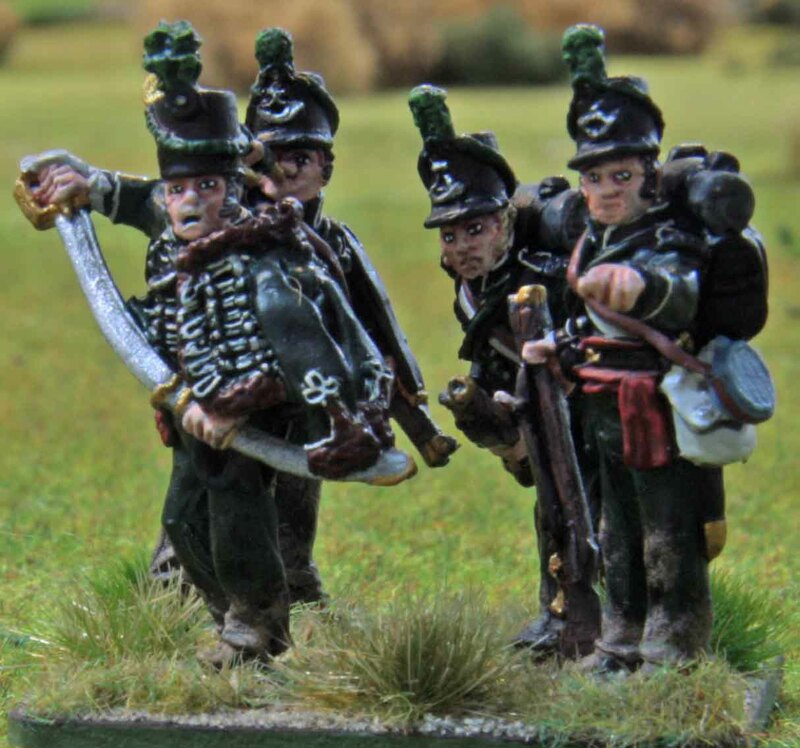 Uxbridge only has the basic colour done, same as CPT Seymour (although he only has a little gold on his sash anyway), MAJ Thornhill has the second step finished as well and CPT Wildmann also received his third and final step. Well at least on one side, since I wanted to go through the paces of NMM gold showing pictures of him. Now the first step with NMM gold is simple… you need a base colour. In this case I chose Vallejo Panzer Aces “New Wood” (311) since I wanted a bright gold in the end. If I want one that is a little darker, I go for Vallejo Game Colour “Cobra Leather” (040) [Games Workshops old Snakebite Leather is the same colour]. Edit (2014): These days I use Cobra Leather as a base for both the bright and dark versions, as I found it gives either a more lively look! The next colour is the first highlight. 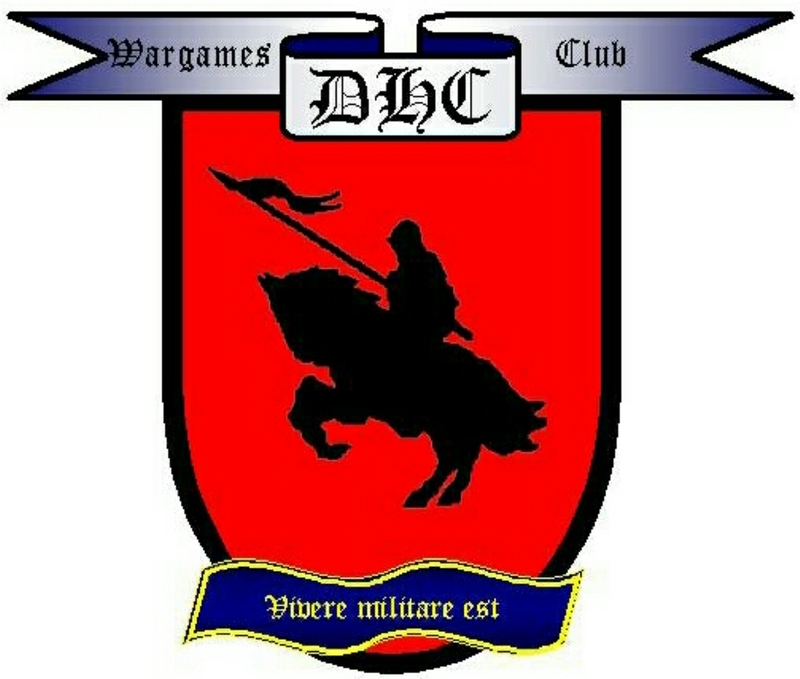 In this case I chose Coat d´arms “Horse Tone Dun” (221). Again if I want a little darker gold I go for a different colour, Vallejo “Green Ochre” (914). This colour is used to pick out the highlights. So I paint the edges and raised points (folds or tassels) with it. Same goes if the fabric has a pattern stitched into it. In this case the belt for the cartridge box has interlocking triangles stitched on (which is unfortunately not visible from this angle), the sabretache a zig-zig pattern (better seen in the third step photo). Pick such patterns out with this colour as well. If you need to do some freehand patterns (like the cyphers on the saddle cloth) pick your spots where you feel a highlight should be, usually at spots where lines cross or make turns. The final colours is used to give extreme highlights. In this case I used Vallejo Game colour “Elfric Flesh” (098). If I want a darker gold I go for a creme colour (unfortunately I can not give you a code here since I bought it without a label from Foundry). Go easy with this one. I found it best to paint besides the highlight from the second step or just put a dot at the end of such a highlight for best effect. If you look at the cypher on the sabretache, I overdid it there and painted most of the second step over, which resulted in a poor result since the contrast is too strong. I will have to go back to that one and redo it with some Dun colour. For small tassels you can make a line of small dots to accentuate the fabric. 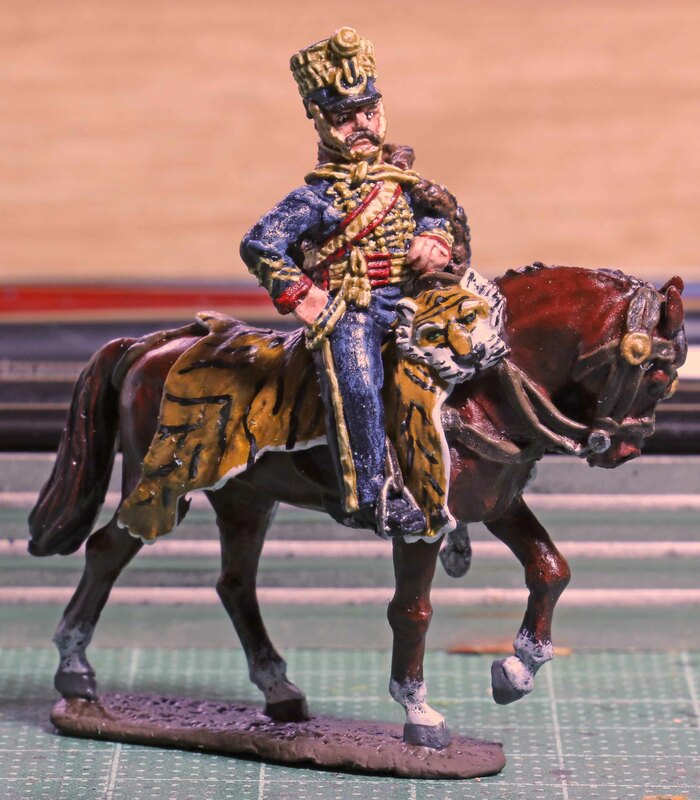 Hope to finish the NMM gold today and start on the caps, fur trimming for Uxbride´s pelisse and the NMM silver. On Monday I only got to spend about 10 minutes on these fine chaps, so I did not post an update yesterday. But yesterday, they advanced further. I blocked out the dark blue areas and did the highlights on those. Those were done by simply drybrushing the lighter shade on. Now this might look a bit over the top right now with strong contrasts and larger “blotches” of light or dark areas, but the later will be broken up a lot once all the tassels and gear are painted. Which is also why the strong contrast is need, for the smaller areas to still stand out. If this does not make too much sense, I hope it will do later. Afterwards a did the black lamp wool saddle covers for the ADC. 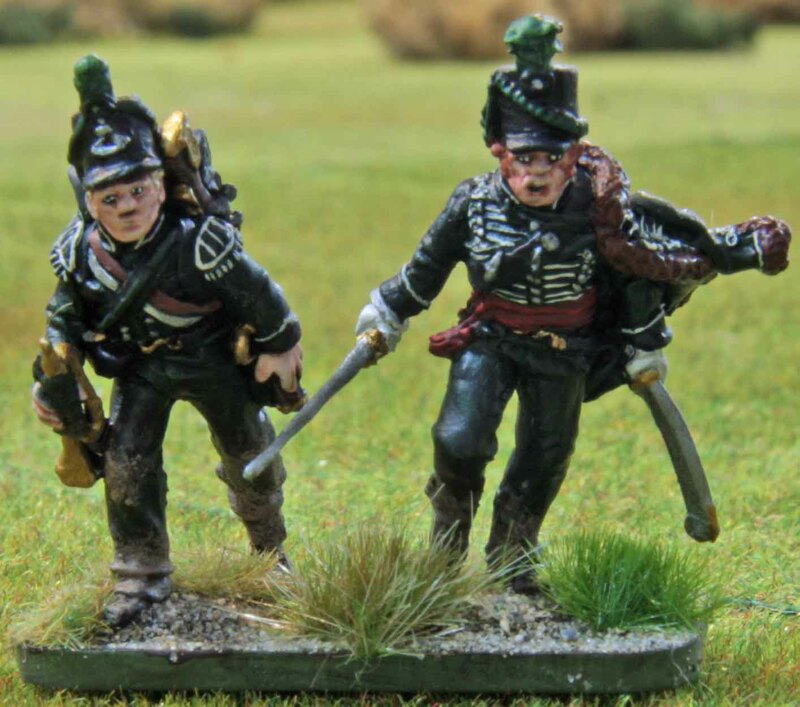 Mainly because they would be harder to do later on and since they have red fringes and dogsteeth and red was he next colour to paint. Which brings me to the red. The collar and cuffs of Uxbridge´s uniform are red, as well parts of the strap for the cartridge box straps, the belts, sashes and sabretaches (except for the 17th Hussars). I used the Andrea Red set for this which has real nice tones (and smell of vanilla for some strange reason), the only gripe being that the base colour does not cover 100%. I then did some shadows and highlights on these, always skipping one shade. I did this since all the red areas will be fairly small (in some cases only a 1mm or less line) or in case of the sabretaches covered by lots of gold. A soft transition between the reds would not stand out and this way it will still pop. Once the was done I began with the base coat for the NMM (non metallic metal) technique gold which you can see on the soldier on the left. And this is it for now. I hope to finish the rest of the gold today, but that might not happen, since there is lots to do. Since the minis for the ADC´s do not have the laces on the breast sculpted on, all of this will have to be done freehand, which will not speed things up. I just hope that it does not get too warm today, since this would make all this fine work so much harder (the small amounts of paint on the brush will have dried after just one stroke, making frequent cleaning and shaping of the brush necessary). This is going to be a short post since I spend very little time painting yesterday. Between doing some work in the house and deciding whether it was safe to sit outside or if the weather would turn bad, I spend most of the day. Anyway, some progress was made after all. The horses are finished now. I added more shadows or highlights to the hides, did the manes, the grey got his dappling and the chestnut his socks. I painted hooves (lacquered grey), teeth and eyes. One word on the eyes. I only paint them in black or very dark brown. If you look at a real horse the eyelids cover most of the eyes and you only see the pupils. The only time you see the whites is when a horse is scared or blown. Since there is no reason for these steeds to be either, they are only black here. Personally it always freaks me out to see the whites in a horses eyes painted. In case anyone wonders, I paint the leather work (bridles, saddle, stir-ups straps and so on) after I am done with the riders. I found this works better for my style of painting. 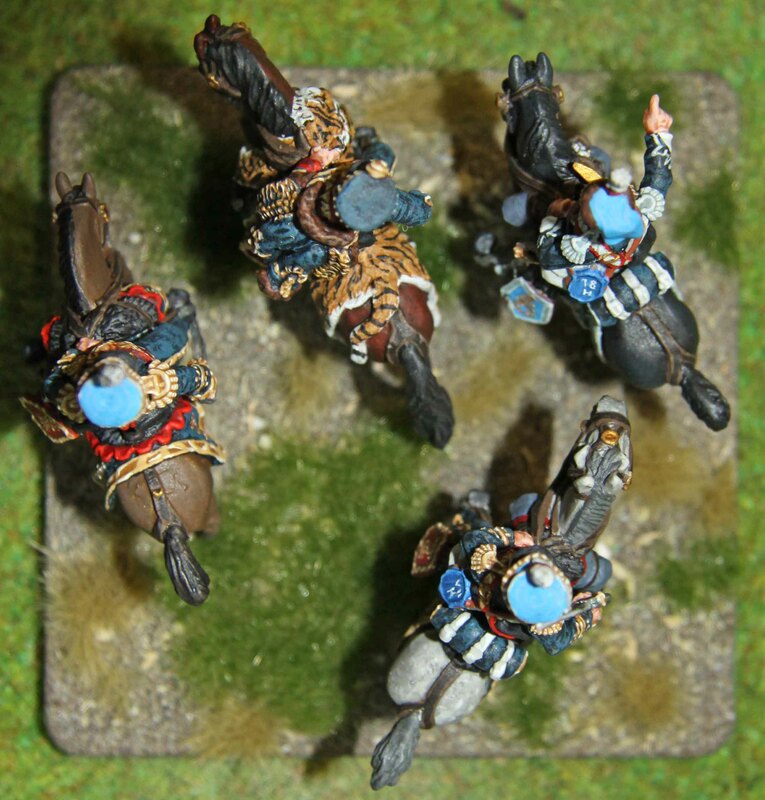 Otherwise I only started painting the outlines of those uniform items and saddle cloths that will be dark blue. I had planned to have them blocked out and highlighted by the evening, but did not find the time… so be it. Lets see how much I will get done today.